What happens after new S&P highs? Investor apprehension following new stock market highs is often misguided and we should conquer our fear of heights, says Ari Wald, Technical Analyst at Oppenheimer. 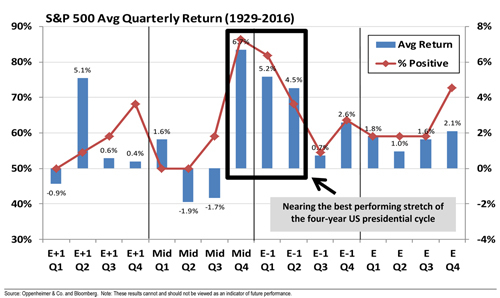 Looking at the S&P 500 since 1929, Wald points out that the S&P 500 has averaged a 7.0% gain over the following six months when reaching a new 52-week high for the first time in at least six months (see Chart 1). This compares to an average 3.3% gain for any six month period when below a 52-week high. 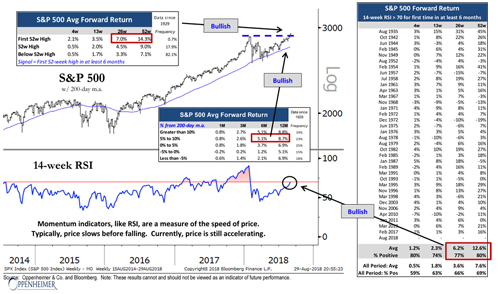 Even when the market has looked overbought, and the 14-week RSI reaches 70 for the first time in at least six months, Wald calculates the S&P has averaged a 6.2% gain over the next six months. Furthermore, he finds that when the S&P is trading more than 5% above its 200-day moving average, its average forward 6 month and 1 year returns are 5.1% and 8.7% respectively. 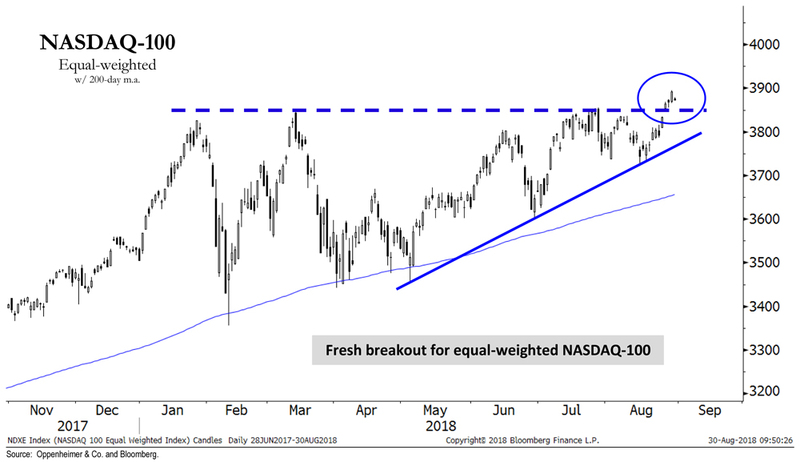 Wald concludes that there may be warranted market concerns about US equities but price action should not be one of them. 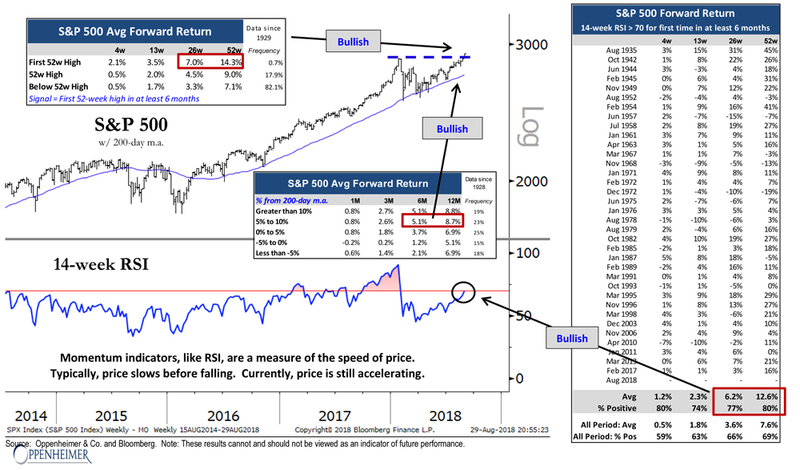 In fact, he thinks there are seasonal bullish tailwinds approaching for the S&P (see Chart 2) and the NASDAQ is also looking strongly bullish, with the equal-weighted NASDAQ-100 having broken out of a seven-month ascending triangle to resume its uptrend and give an upside objective about 9% above current levels, at around 4,235 (see Chart 3). See Chart 1, Chart 2 and Chart 3.